Specialists in the field of stainless steel dairy tube welding. Increased efficiencies by using the latest welding tools and techniques. Project planning to final commissioning optimized by skilled coordination of field crews. 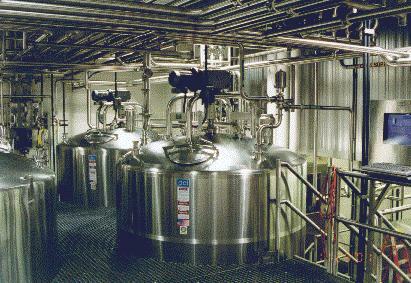 Experience in dairy processing of fluid milk and manufactured milk products. Turnkey experience in plant utilities and refrigeration systems. Distributor of a multitude of equipment and process valve manufacturers. 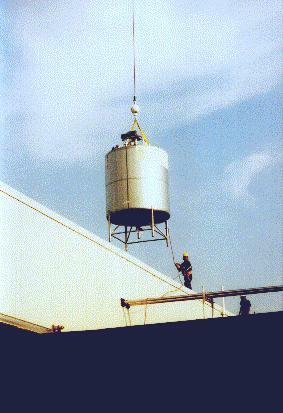 Based upon Wagner-Meinert's knowledge of Food Process Systems, equipment and installation, we have the ability to install new Process Systems or re-model existing systems, resulting in cost effective, efficiently managed projects, which reduce capital costs, and deliver the final product to our customers on time. Rigging and equipment layout using the finest equipment on the market. Valued relationships with area contractors for design build. Process safety management and training of our personnel to eliminate work related injuries. Upon completion of Preliminary Engineering and Scope Development, Wagner-Meinert will identify the best possible execution plan, using our experienced Engineering and CAD Departments, to "fast track" your projects, resulting in shorter project delivery schedules, ultimately beginning our return on investment earlier. By using Wagner-Meinert's Process Engineering Group to design and implement your Process Systems, we will bring to the design team the best process solutions available to meet your budget and schedule expectations. The end result, our customers achieving top value from the equipment and services we provide, and then having the ability to return the same top quality products to their end users.